This November, Wizards of the Coast will release a hardcover Dungeons & Dragons’ campaign setting book located in cityscape plane of Ravnica from Magic: The Gathering. 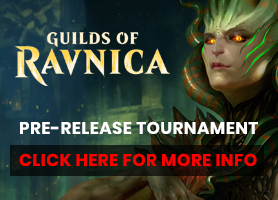 Guildmasters’ Guide to Ravnica will release on November 20. Guildmasters’ Guide to Ravnica is a hardcover campaign setting that details the fast cityscape of Ravnica and the 10 guilds (crime syndicates, church hierarchies, scientific institutions, judicial courts, military forces, rampaging games, and buzzing swarms) that compete for influence, wealth and power. Each guild has a subculture with its own identity, civic function and member races. MSRP is $49.95. 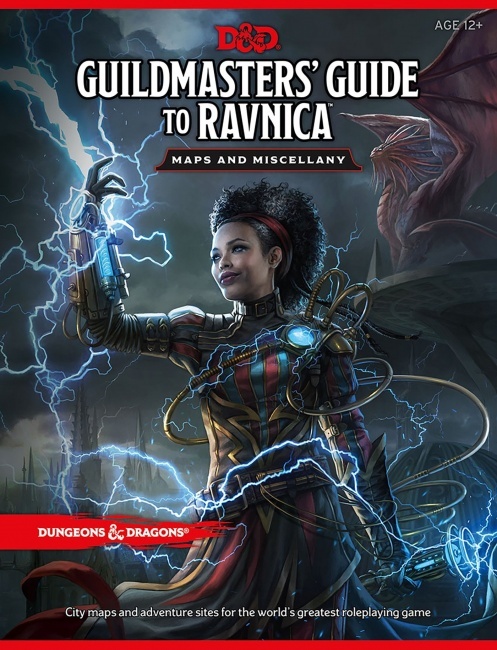 WotC will also release a D&D Guildmasters’ Guide to Ravnica Maps and Miscellany Pack ($19.95) and a D&D Guildmasters’ Guide to Ravnica Dice pack which includes one d20, one d12, two d10s, one d8, four d6s, one d4, and one guild die ($24.95). WotC has flirted with crossing its two largest brands before, releasing free downloadable Plane Shift adventure supplements for D&D set in M:TG planes beginning in 2016. A New Spin on Talisman	New XL Dragon Minis added to Pathfinder.